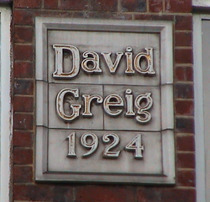 This isn't really a memorial but it appears to be in glazed tiles which made us want to find out more. 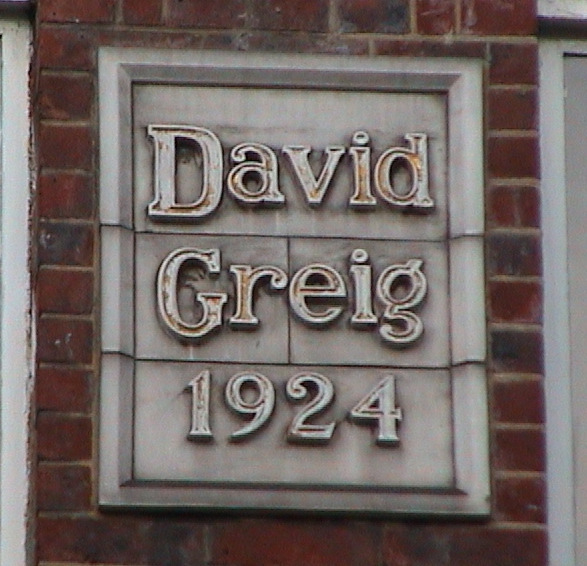 The Newham Council Local History pages have a number of messages posted by people who remember working in branches of David Greig across North London: "I too remember the breaded ham off the bone and the Dundee cake with almonds. One of things that spring to mind were the shop fittings black and white marble floors with a D & G motif with a thistle, white marble counters." There are thistles on this shop front, at either end of the name board.